Our company is a prominent Chain Link Fencing Manufacturer, Importer, Exporter, and Supplier in Maharashtra. 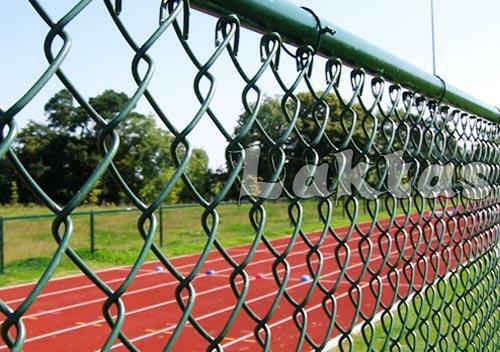 The Chain Link Fencing offered by us is made as per the industrial quality norms. The Chain Link Fencing is available with us in various specifications, so as to serve the exact needs of the clients. The Chain Link Fencing provided by us has excellent finish, optimum quality, durability, and it offers long service life. The Chain Link Fencing can be availed from our company at pocket friendly price. Mainly required for boundary line fencing in gardens, open plot, etc. © Copyright 2012. Laktas Wire Mesh Pvt. Ltd.